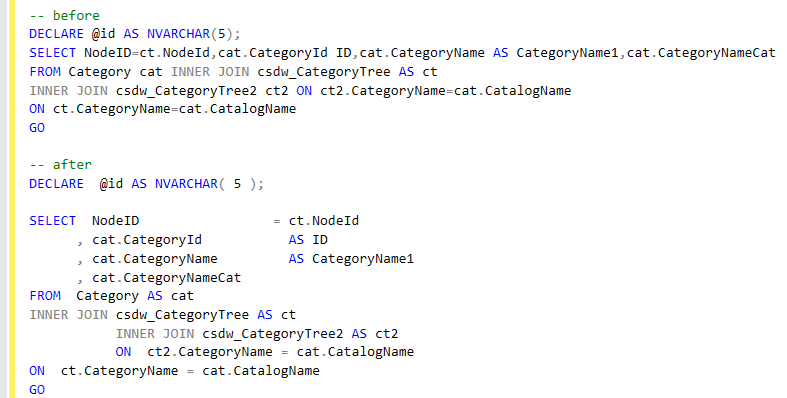 Quickly apply design and coding style preferences using customizable code formatting rules and refactor SQL code with a set of refactoring commands. 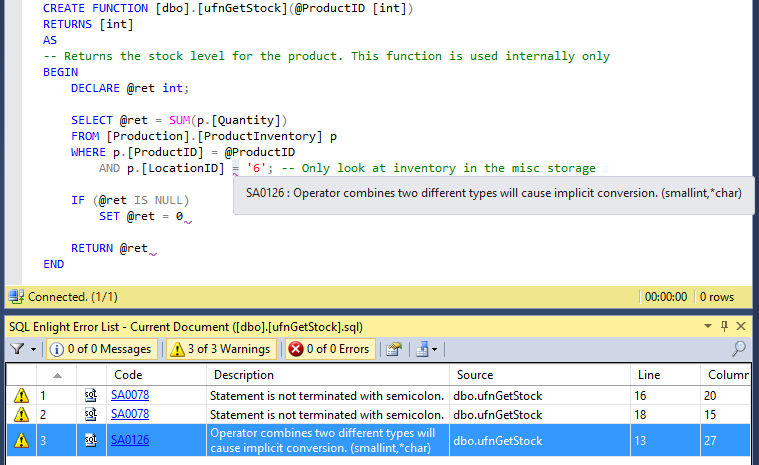 Identify potential problems on the fly while you write code or check your SQL Server databases for design and performance pitfalls. Run analysis from your build process and get detailed reports of design and performance issues.  SQL Enlight is supports integration with SQL Server Management Studio and Visual Studio as an extension. Command line tool, which support script layout, static analysis of server objects and report generation. 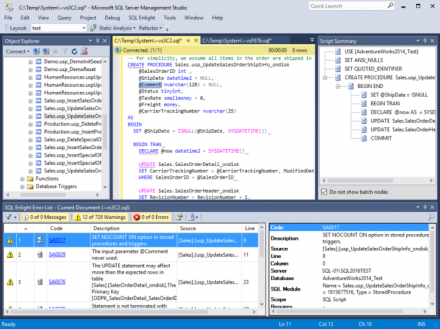 MSBuild and NAnt tasks which are meant for supporting the continuous integration software development practice. 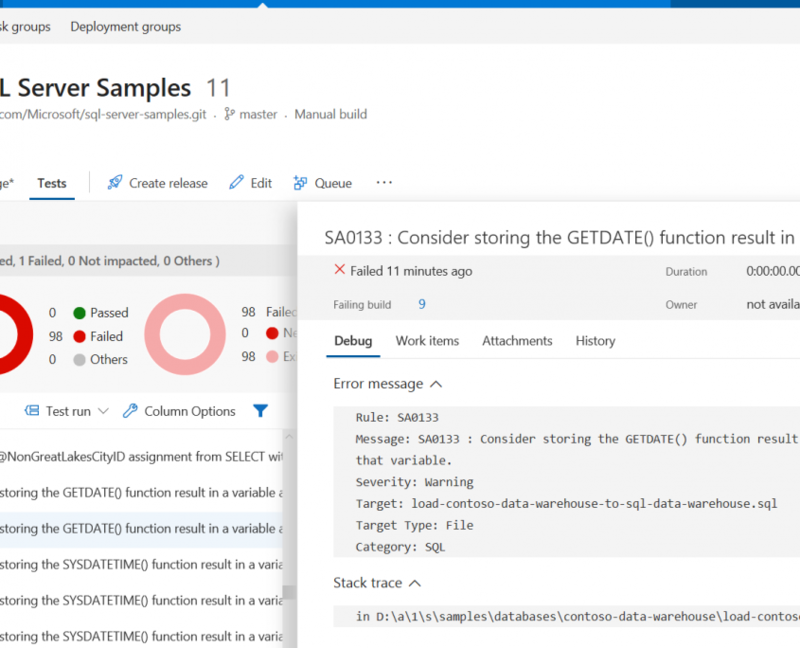 Team Foundation Server Check-in policies. Improve the readability of your code using a set of more than 40 configurable layout rules. 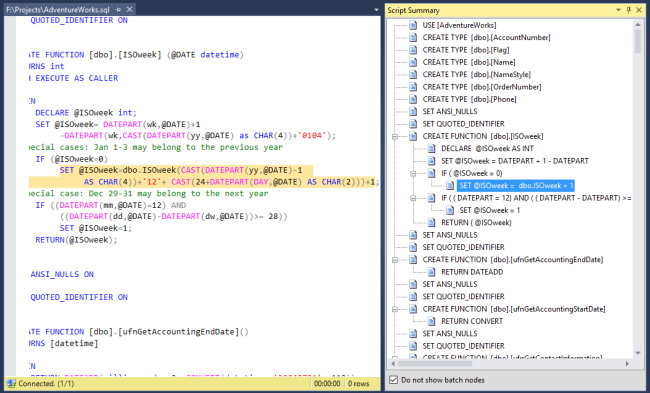 Automated code reviews, on-the-fly script analysis, easily analyze and identify potential design and performance pitfalls in your SQL Server databases. 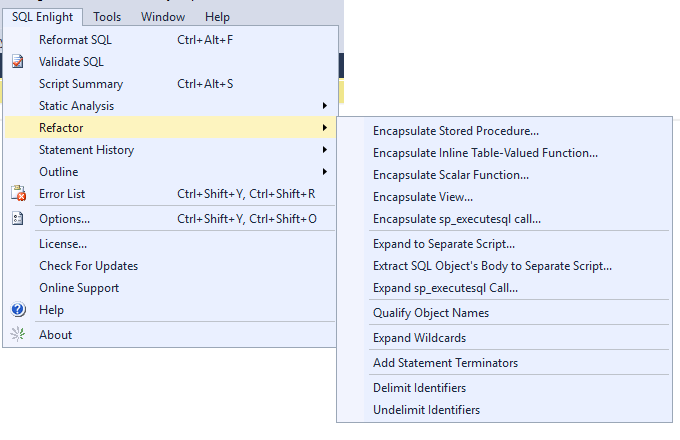 Extract parts of the large script in new stored procedures or functions, and statement terminator, delimit identifiers and more. 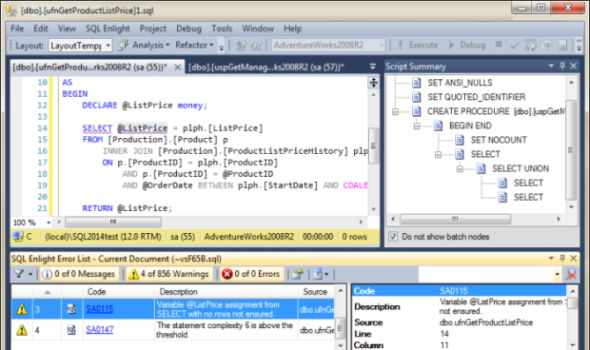 Get instant overview of your and navigate through your T-SQL script using the SQL Enlight Script Summary.